To start off , lemme first brief you on what actually ignited my mind into bringing out this note :p .well its that I happened to flip through the pages of my old diary ( some 6 yrs back ) a while back. And lemme add this too that i’m still not quite over the myriad of emotions it sent me through ! I mean , God ! Can anything be more embarassing than to read yourself lamenting and crying your heart out there for the silliest of things and feeling desperate ! Now going through what i’d jotted down over the days did help me hark back some precious moments . And I found myself smiling , laughing , blushing , wondering and they even left me in tatters at some points , not the least exaggerating . The sentences became poignant at times and wicked at other times . And in short it was pretty much an enticing journey to the past for I could view the me of yester years as easy as that ! Nonetheless one’s personal diary is some what like the mirror image of one’s mind. It perfectly captures the nook and corner of your thought field and you find the emotions you never thought existed gushing out in a fray. Writing down consoles you at times , helps you take decisions at times ( not that thats the only way ) , and even gives colourful meaning to the tiniest of achievements like the bliss you experience while copying down the very last page of your SPM record ! It comes without say people change . Their concepts change over the years. 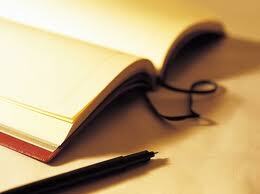 The blank space in the diary captures your purview at the moment you were writing them down. You wont be thinking the same way the very next moment , or days after having written down something. It sure gives me an idea about how I used to appoach things and how my graph went after that. Here one never has to fake emotions or hide one’s weaknessess behind the mask of boldness as we are forced to many a times . I should say that applies to writing down your mind in anyway – say a blog , a poem or just thoughts on a scrap of paper. Previous postAttitude Huh :D ! !